The May 2019 (#147) issue of Songlines is now on sale. This issue’s cover star is the Cameroonian musician Blick Bassy whose latest release, 1958, is a tribute to his country’s independence fighters. We reveal all the nominees in the 2019 Songlines Music Awards and other features include an interview with Éthiopiques star Girma Bèyènè who will be coming to Songlines Encounters Festival in June; the revival of the 1960s Malian-Cuban supergroup, Las Maravillas de Mali; plus all the latest news, event listings and CD, book and world cinema reviews. Every issue also comes with a bonus compilation CD: The Sounds of Moroccan Festivals. 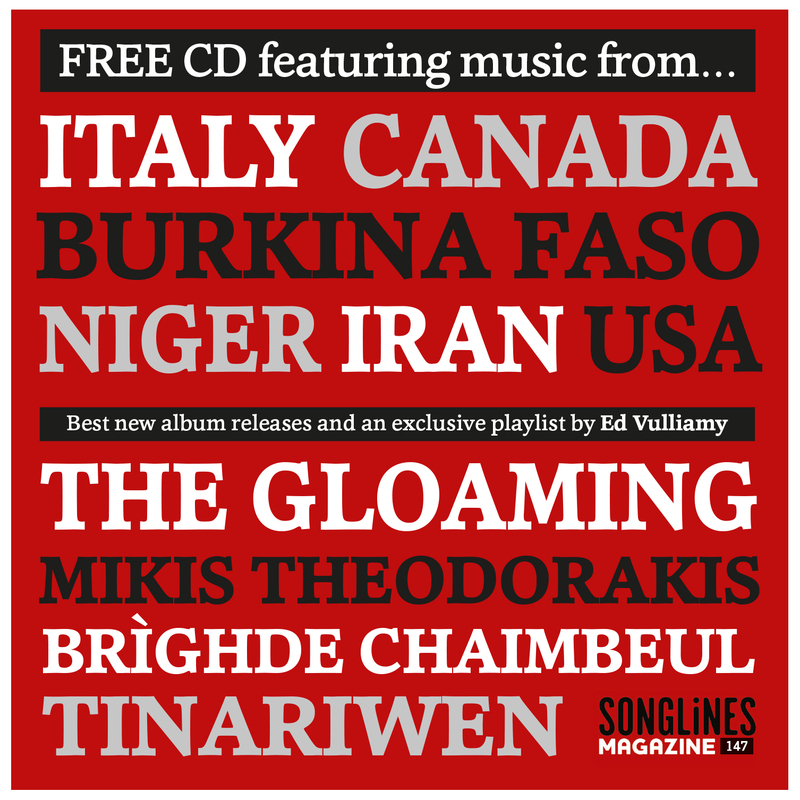 As well as streaming excerpts from the Top of the World album, digital edition subscribers can now download all 15 tracks, which this issue includes The Gloaming, Le Vent du Nord and Kronos Quartet and Mahsa & Marjan Vahdat, as well as a guest playlist from the journalist, Ed Vulliamy, featuring music by Tinariwen, Mikis Theodorakis, Amira Medunjanin and others.